We Have Won Tens of Millions of Dollars in Settlements and Judgments for Our Professional and Executive Clients. All seems lost. The insurer denied your disability claim, and then denied your appeal. You don’t understand. You submitted a strongly worded letter from your treating doctor, who strongly supports your claim of disability. But, instead of considering your doctor's opinion, the insurer ignored it and came up with a ridiculous reason to deny your claim. It just does not make sense. The insurer accepted your premiums, but instead of honoring its insurance contract and acting in good faith, it reduced your claim to a statistic. Enough is enough. You want to sue. You want a lawyer to obtain justice for you. You want an attorney who will win the biggest settlement or judgment possible. You want an attorney you can trust, who is feared and respected by the insurance company. We can help. The disability lawyers at Riemer & Associates have been successfully fighting the insurance companies for over 25 years. We have obtained millions of dollars of settlements and judgments on behalf of our clients. Our firm has have engaged in as much hard fought federal litigation of long term disability insurance claims as any other New York City firm. We also are responsible for many of the legal precedents used in the litigation of disability insurance cases under the Employee Retirement Income Security Act (ERISA). To gain a qualitative edge, our disability lawyers maintain an extensive database of the documents and information we obtain on each insurance company so that the information we gather could be used in your case and in other cases we bring in the future. We also constantly monitor all legal developments in the field and always are looking for ways to increase the rights of long term disability claimants. We only will take cases we think we could win. Our disability lawyers, therefore, are prepared to take each case that we handle to judgment. With that said, we are great believers in alternative dispute resolution such as voluntary mediation. Good settlements, however, don’t just happen by themselves. Favorable settlements only happen when the insurance companies are made to respect us and the disability benefits cases that we bring. Success in litigation is largely dependent on the quality of your claim and appeal. That is why at Riemer & Associates our disability lawyers spend so much time and effort with your claim and appeal prior to litigation. The vast majority of our clients never require litigation, but when litigation is required, our clients have more than a head start. We have clients who want to be involved every step of the way, and others who want very little involvement. 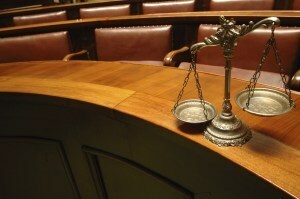 Litigation is very stressful and many clients want to minimize their involvement. Our disability insurance attorneys will take the lead from you. If you want to be involved, we act as a team, with you as an active member. If you do not want to be involved, we shield you from the stress, keeping you informed of only major developments. Throughout the process, our disability lawyers keep you informed of all developments in your case. As a client, you have 24/7 access to your own client portal, where you have access to all documents in your file. Each time a new document is added to the file, you will receive an email from the Firm with a secure link to the document. Learn how to develop a winning appeal and avoid the high cost and delay of litigation in this easy to follow 9-page guide.